The orchid and champagne color combination adds delight to the room. 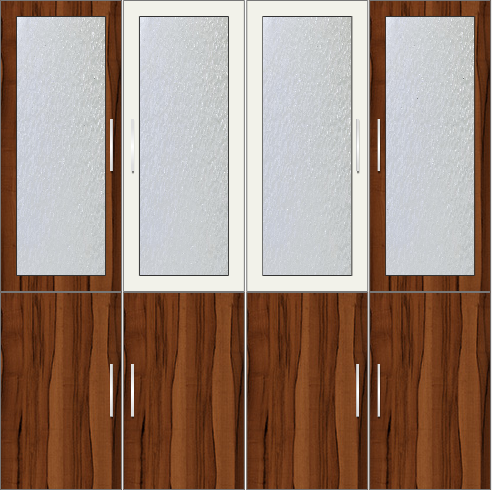 Set with 4 frosted glass door, this can be primarily used in the dining area with enough amount of space. 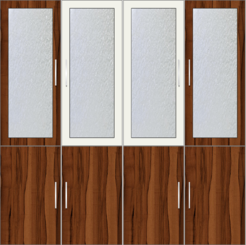 The upper wardrobes can be used to store your glassware and chinaware that you are proud of. 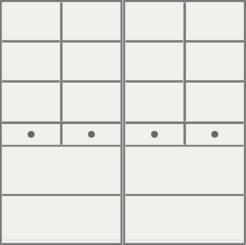 The layout is symmetrical. With a combination of bright wood and white, this adds both drama and warmth to the room. The top portion of the wardrobes is with smaller shelves to store display objects. As said already the internal sturcture is symmetrical. The bottom portion of the wardrobes is racked with full size shelves that are optimal storage.